Pentatonix is back with their third EP installment. 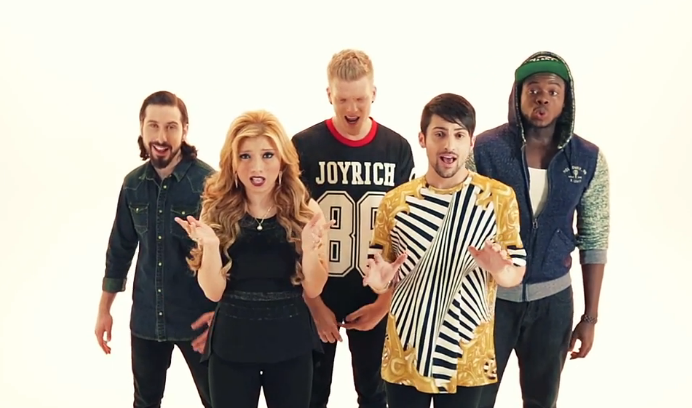 PTX Vol 3 is finally available for pre-order and the group celebrates by releasing a new official music video. This time around, they’re covering “Problem” by Ariana Grande. PTX Vol III comes out September 23rd. Be sure to check that out. Everyone who pre-orders will get a free download of “Problem”. Pentatonix also announced their latest Christmas album “That’s Christmas To Me” which will be out October 21st, 2014. I am loving this cover. I am here for Avi, the bearded wonder, singing “I got one less problem without ya” at the end.